Scott Anders is the director of the Energy Policy Initiatives Center (EPIC) at USD School of Law. He joined EPIC in October 2005 as its inaugural director and developed both its academic and research programs. Anders’ work at EPIC has focused on regulatory and policy issues related to developing efficient and low-carbon energy sources. Recent projects include the first-ever greenhouse gas inventory for San Diego County, policy research for a comparison of the San Diego region with regions with emerging clean technology industry clusters, and a feasibility study of implementing smart grid strategies and technologies in the San Diego region. Prior to joining EPIC, Anders was director for policy and planning at the California Center for Sustainable Energy (CCSE). In this capacity he managed regulatory and legislative issue research and analysis, directed communications with regulatory agencies, including writing position papers and comments before California’s regulatory agencies, directed technical and policy support for the SANDAG’s Energy Working Group, and directed solar energy activities, including technical and policy research. Anders has authored or co-authored a number of papers and reports related to energy policy. Most recently he was a lead author on the report entitled, Potential for Renewable Energy in the San Diego Region. Anders also has been involved in regional energy planning for the last 10 years and has contributed to the San Diego region’s Regional Energy Strategy and Climate Action Plan. He contributed to the San Diego Regional Energy Infrastructure Study, a technical and policy survey of the regional energy market in San Diego, and Energy 2030: The San Diego Regional Energy Strategy, which serves as the region’s roadmap for energy planning. In 1999, Anders was a policy researcher for the Washington, D.C. think tank Center for a Sustainable Economy, now part of Redefining Progress, where he researched market-based mechanisms as a policy tool for the energy sector. Anders was a Peace Corps Volunteer in Mali, West Africa. He holds a BA in international politics from Muhlenberg College (Allentown, Penn.) and an MA in public policy, with a concentration in environmental policy, from the University of Maryland’s School of Public Policy. Dr. Nilmini Silva-Send is the senior policy analyst and the C. Hugh Friedman Fellow in Energy Law and Policy at the Energy Policy Initiatives Center (EPIC) at USD School of Law. In this role, she contributes research and analysis to EPIC’s ongoing energy and climate change projects. In recent years she has focused on transportation energy use and researches costs of measures to develop greater efficiency in road transportation in the San Diego region. She is also a researcher in a recently awarded multidisciplinary National Science Foundation Climate Science Education project.During her career Dr. Silva-Send has served in a variety of roles in which she conducted legal and technical analysis of environmental laws in Europe and the U.S., and carried out environmental due diligence assessments in Europe. She has also taught upper level and graduate level international law courses in Germany. More recently she taught International and European Environmental Law at the University of San Diego School of Law. In 2010 she started a contemporary course in International Lawand Policy related to energy at the University of San Diego School of Law.Dr. Silva-Send has a BS in Chemistry and a PhD in International Law and Policy. She is a member of the International Bar Association. 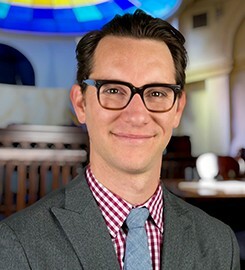 Joseph Kaatz serves as the staff attorney at the Energy Policy Initiatives Center (EPIC) at USD School of Law. Kaatz’s work has focused on regulatory and policy issues related to energy including renewable energy generation, storage, transmission, land use, the effects of federal and state statutes on state agency jurisdiction, energy related finance mechanisms, and energy efficiency. Kaatz also supervises the Energy Law and Policy Clinic.Kaatz has authored or co-authored several reports related to energy policy. Recent projects include developing reports to identify and implement best practices in permitting, zoning, interconnection, and finance in support of the Department of Energy’s SunShot program to decrease the soft costs of rooftop solar across California. Kaatz was lead author of the first comprehensive report on Property Assessed Clean Energy Programs (PACE) for residential and commercial properties in California and currently advises the City of Chula Vista on the creation of its PACE program.Prior to joining EPIC, Kaatz worked in land use, construction management, and the prosecution of complex anti-trust, consumer class-actions, and mass tort litigation. He holds a JD from the University of San Diego School of Law, with a concentration in public interest law and an emphasis in environmental and consumer law, and a BA in history from Pepperdine University. Kaatz is licensed to practice law in California and Colorado. As a technical policy analyst with USD’s Energy Policy Initiatives Center (EPIC), Marc Steele’s work focuses on developing greenhouse gas emissions inventories, assessing mitigation measures for local jurisdictions and the San Diego region, and advancing the integration of economic tools into climate planning. Prior to joining EPIC in January of 2017, Steele worked as a research assistant with the Riparian InVasion Research Laboratory in UCSB’s Marine Science Institute and partnered with faculty at the Bren School of Environmental Science & Management. His research interests centered on the impacts of climate change and the application of economic tools in conservation. Through his work, he has conducted a comprehensive cost-benefit analysis for an invasive species removal program in the lower Santa Clara River and explored the impacts of climate change on smallholder farmers in Central America. He received a Master of Environmental Science & Management from the University of California, Santa Barbara, specializing in conservation planning. Steele also holds a Bachelor of Science in Environmental Science & Policy and a Bachelor of Arts in German Studies from California State University, Long Beach. 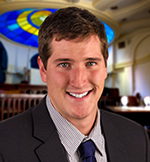 Clark Gordon is an energy policy analyst at the Energy Policy Initiatives Center (EPIC) at USD School of Law. His contributions to EPIC focus largely on energy and greenhouse gas emissions modeling. Recent work includes aiding in the design and development of a community-scale greenhouse gas emissions model, capable of forecasting both business-as-usual emissions levels and dynamic mitigated emissions levels for each city within the San Diego region.Prior to joining EPIC in May of 2012, Gordon worked as an engineer for a research and development company focusing on renewable energy technology applications. His work focused primarily on hydro-mechanical solar energy collection systems. Gordon holds a BA in Physics and Mathematics from Occidental College (Los Angeles) and a MS in Engineering Mechanics with a focus on Energy Dynamics from Columbia University (New York, N.Y). Mr. Gordon is a JD Candidate at the University of San Diego School of Law, class of 2015.